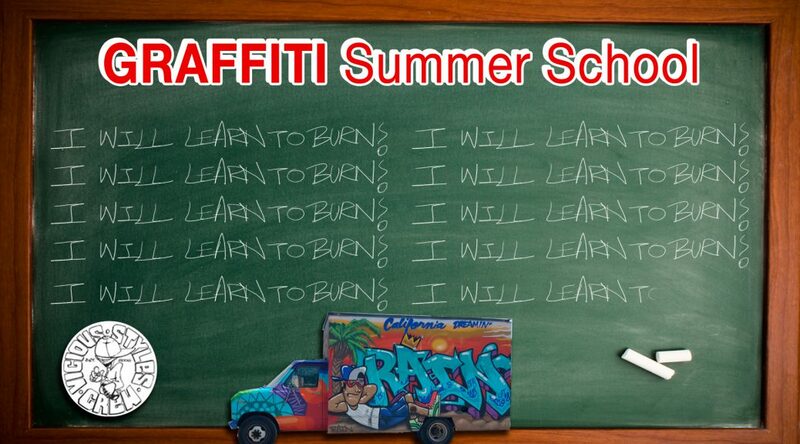 This Graffiti Art Class (originally developed by Pose Two) was created to teach and explore the history styles and techniques of the art form called graffiti. This class will follow a similar format and be taught by members of the Vicious Styles Crew. This class is suitable for beginner to intermediate artists. The class age ranges from 12-60. Instructors: Leon Rainbow, Gentrifried, Will Kasso, Mek, Ras, and Surprise Guests! Some Supplies may be donated, we will have blackbooks, markers., etc for sale on site. This session is dedicated purely to the development of painting. Enhancing technique and style. Watch week students are expected to have a carefully drawn sketch, which they will execute on a wall under the critics and guidance of experienced Graff writers. *** IF YOU HAVE ISSUES ORDERING PLEASE PAYPAL Leon.Rainbow@Gmail.com or Bring a cash/check to the first class of the session. Previous PostRain x Bake – Fine Lines Jam 2017Next PostJersey Fresh Jam needs your help! !